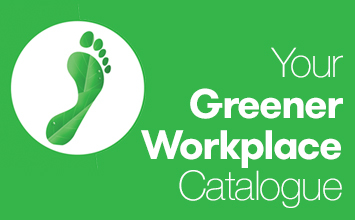 Your Greener Workplace Catalogue is bursting with all the best environmentally friendly business supplies. It’s easier than ever to be a good environmental citizen or company. Green prices are down, quality is up, and it’s now the normal and expected way of living and doing business. Make a better choice for the planet.